We offer computer generated reports with email capability opposed to our competitors who offer an outdated hand written report. Appears serviceable: Indicates we did not observe conditions that would lead us to believe problems existed with this system or component. The item is capable of being used. Some serviceable items may, however show wear and tear. Other conditions are checked, if applicable, in the body of the report. Structural Evaluation / Repairs Recommended: Recommend evaluation / repairs by qualified licensed structural engineer / geotechnical engineer / structural contractor.  Repairs Recommended: Recommend further review and repairs as needed by qualified licensed contractor or specialty tradesman dealing with that item or system. Repairs Recommended (Pest): Recommend further review for the presence of any wood destroying pests or organisms by qualified pest inspector. Safety Hazard: This item is a safety hazard - correction is needed. Safety Upgrades Recommended: Recommend upgrading for safety enhancement. This building may have been constructed before current safety standards were developed. Maintenance / Monitoring Recommended: Typical maintenance repairs recommended or items warrant additional attention, repairs, or monitoring. N/A: Not applicable/ not inspected. We also include a Summary Report which is designed to assist the reader as an overview of the full report. The emailed PDF format makes report reading easy, fast, and to the point.